Precihole’s website dubs Azhar Qazi the “next generation” to lead the machine-tool company. The son of cofounder A.A. Qazi, he fully intended to jump into the design and development end of the family business. But Qazi soon realized that his role at Precihole Machine Tools, one of India’s leaders in deep-hole-drilling solutions, would require much more than machine design. A deep-hole drilling machine. Courtesy Precihole Machine Tools. Precihole Machine Tools serves the engineering needs of diverse industries, including defense, aerospace, oil, and medical. When Qazi came on board, a high turnover rate and a general lack of marketing knowledge within the company were inhibiting Precihole from moving forward. So after putting in a full day’s work, Qazi would stay up all night watching YouTube tutorials for programs like CorelDRAW and Adobe Illustrator to create brochures and other marketing collateral on his own. 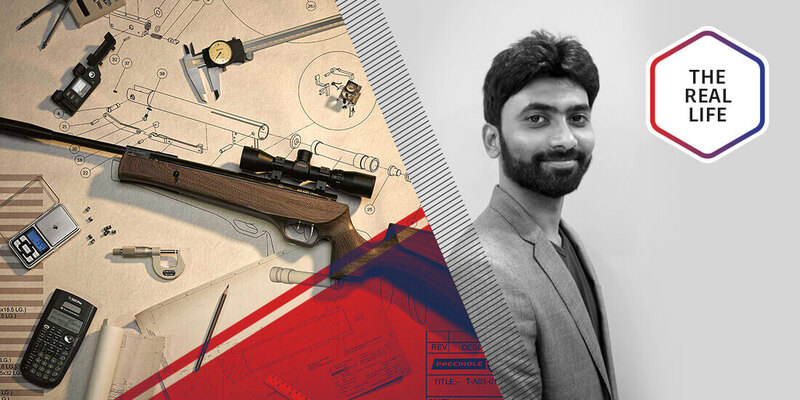 His by-any-means-necessary mentality, along with a passion for process optimization, has elevated Precihole Machine Tools’ profile and enabled the company’s younger venture, Precihole Sports, to become the leading air-rifle manufacturer in the country. Here, Qazi explains his multifaceted role at both companies and shares his ambitious goal of raising the profile of Indian manufacturing around the world. Are your roles similar for Precihole Machine Tools and Precihole Sports? I work on design and development for both companies, but as a business owner, I’m never limited to one department. Over the past three years, if I were to describe my job responsibility in one line, it would be to reduce waste. My activity involves reducing all the nonvalue-adding activities in all departments. I’m trying to reduce the nonintelligent activities as much as I can so I don’t require a person to do any repetitive tasks. Precihole Sports has been in business since 2012. What were some of the challenges in launching this new venture? Shooting is the only sport in India that has received an individual Olympic gold medal. And we are currently the only company that makes international-quality air rifles. Precihole Sports is India’s leading air-rifle manufacturer. Courtesy Precihole Sports. One of the biggest challenges is getting the prototypes into the production stage. We have to outsource certain operations, and in India, it is very difficult to find quality vendors. We have to work with vendors who have never worked in 3D software, not even in 2D software. They are working with hand drawings. So we decided to stop treating them as just a vendor; we started considering them part of the company and helping them. For example, to manufacture a part, they would require fixtures, so we would design those fixtures for them. One of our people would go check the process so that we get the required output. Now we are comfortably achieving 75 rifles per day to meet the market demand. How do the daily challenges differ for Precihole Machine Tools? The biggest problem we face now is that when Americans or Europeans hear about machines being built in India, they’re really skeptical. 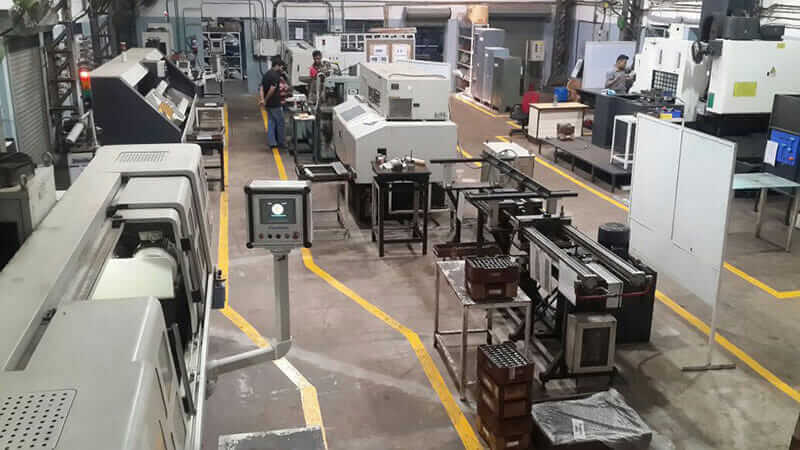 We were recently about to supply a European customer with five different machines. Explaining our machines to him was the first task, and then convincing him that we can manufacture quality machines in India was the second task. Read more in “The Real Life” series. What’s one of the most difficult parts of your job? To get quality people who are interested in learning new things is very difficult because the people we get from colleges are focused on only going to work from 9 a.m. to 6 p.m. You tell them to do this and that, and they’ll do what they are told—they won’t try to innovate. Getting people who want to innovate and learn new things is difficult because people from India leave to study and work in the United States and other countries because they get highly paid there. The Precihole Sports manufacturing plant. Courtesy Precihole Sports. What excites you the most about the future of your business or manufacturing in general? The best feeling is when I design something and see it function in real life, doing what it is supposed to do. That is the best satisfaction that I get from my work. When the customer says, “You delivered exactly what we wanted, and sometimes even more than what we wanted”—that is something that excites me. Right now, we are the only premium product supplier in India—the leader in deep-hole-drilling machines. Same goes with Precihole Sports. 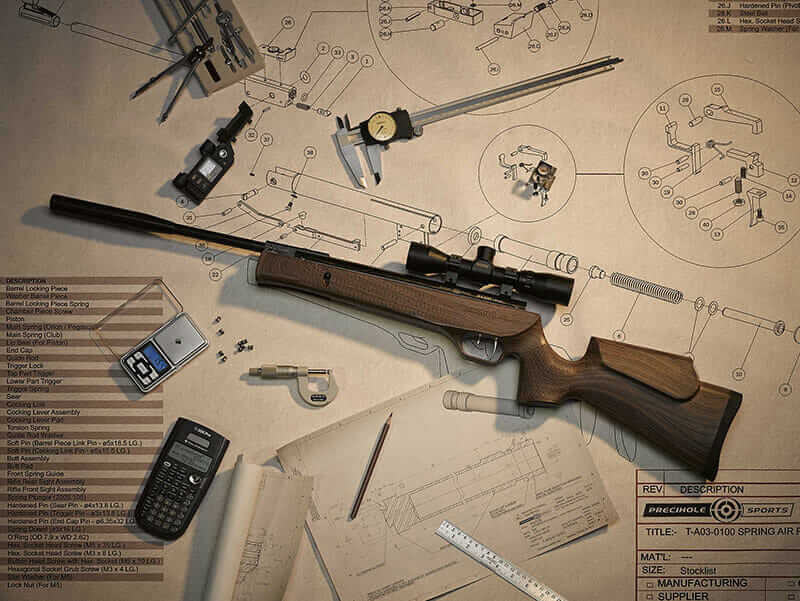 We are the only company that manufactures air rifles of such high quality. Our ultimate goal is to be among the top players throughout the world. We want to change people’s perception when they think about India and Indian machine tools or Indian products.